Chicago police are asking for the public’s help in tracking down a driver who struck and seriously injured a pedestrian near Wrigley Field last month. 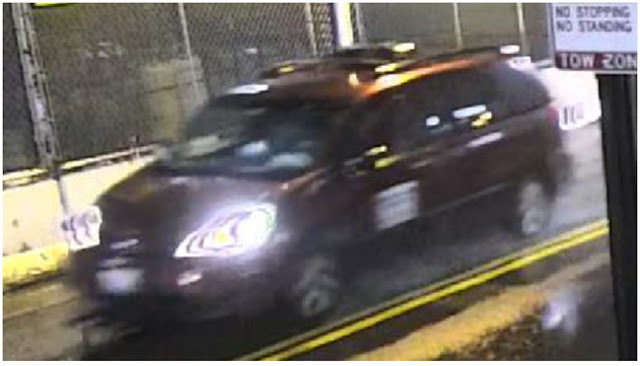 At 9:27 p.m. on Dec. 13th, the minivan seen in this surveillance image struck the pedestrian at 932 West Addison, about 50 yards east of the Addison Red Line station, police said. The driver did not stop and fled the scene. Police said the minivan is either red or maroon in color. It has a roof rack and a placard on the driver’s door. The van may have damage to its headlights, front end, and its right side, according to police. Anyone who has information that may lead police to the identity of the driver or the vehicle is asked to contact CPD’s Major Accident Investigation Unit at 312-745-4521 about case number JB-552321.